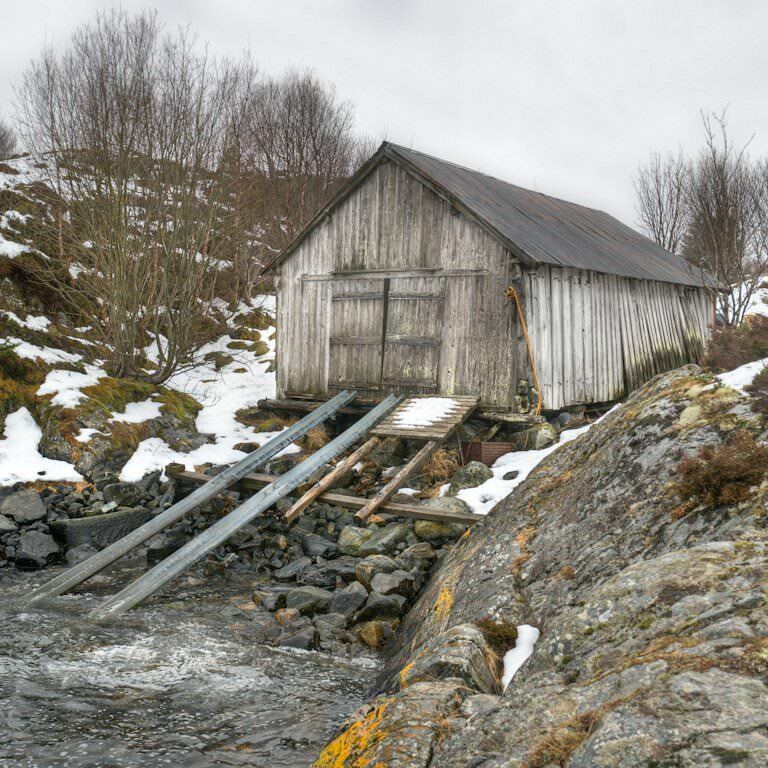 While boathouses might have once been a staple of Norway’s coasts, fjords and lakesides, a lot of these traditional structures fell into disrepair with the decline of small-scale fishing. 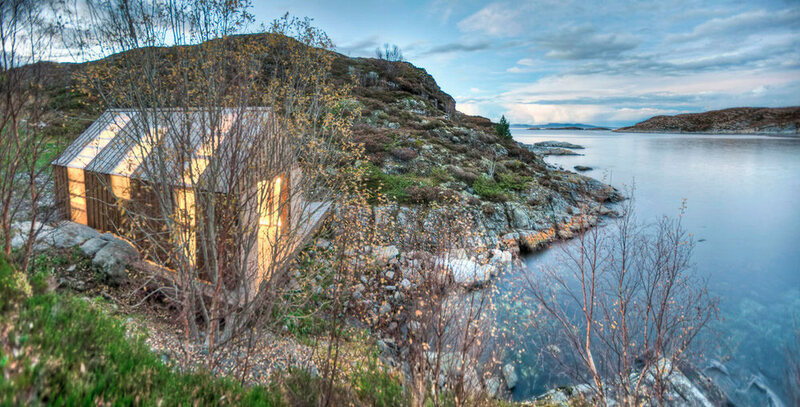 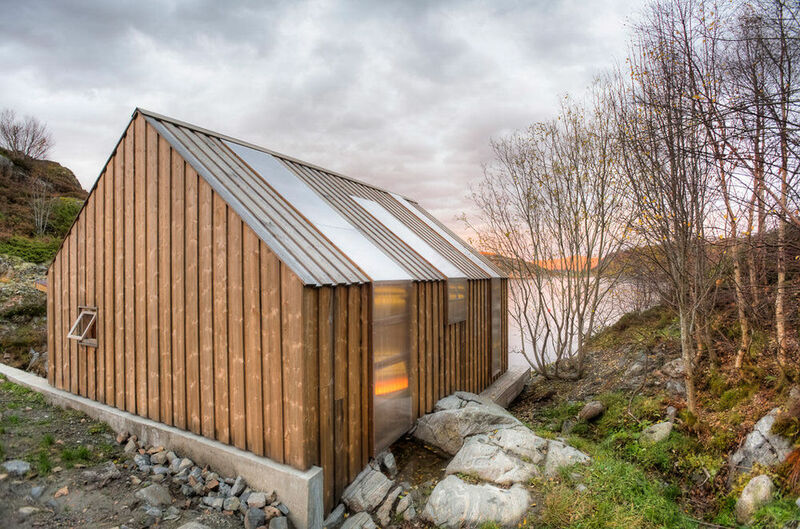 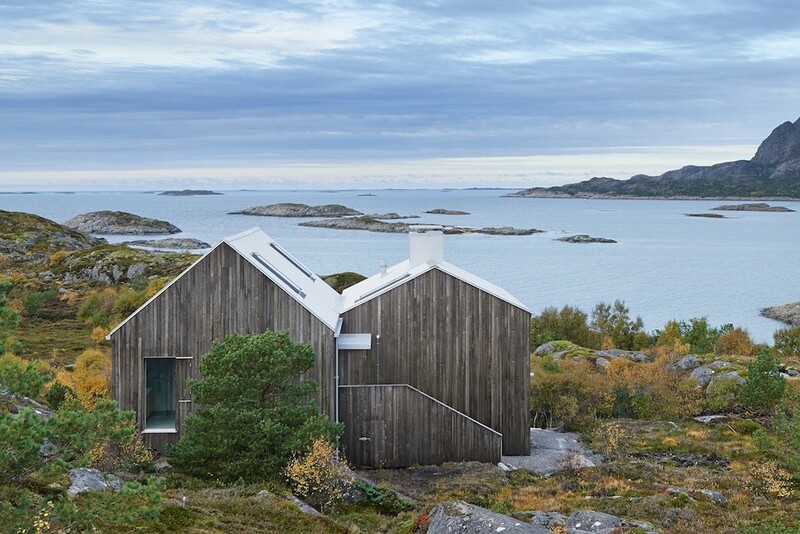 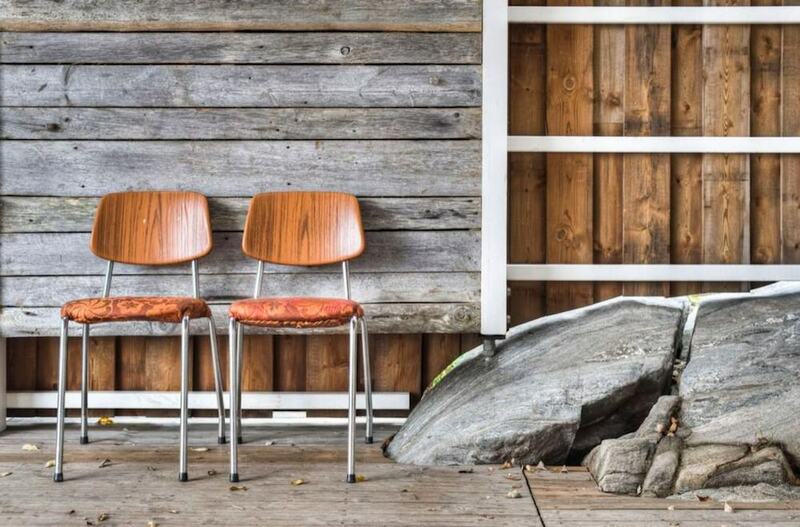 However in recent years many have been restored and repurposed for recreational summer use and ‘Naust Paa Aure’ (Boathouse on Aure) by TYIN Architects is a notable example of this trend. 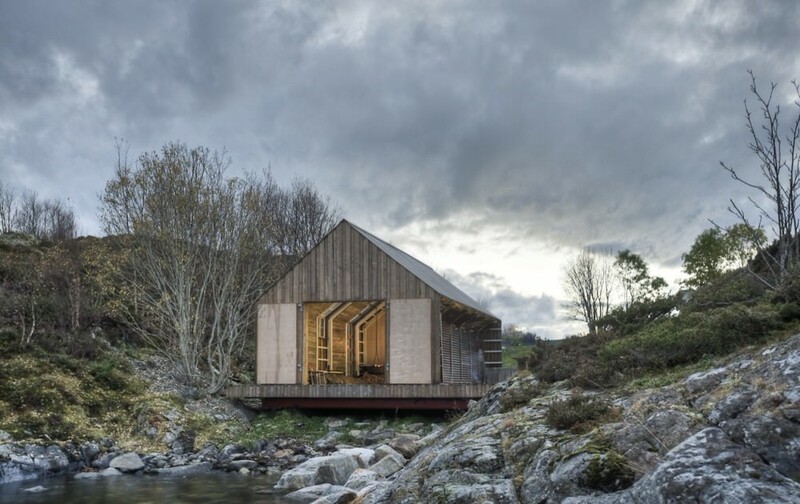 The existing fisherman’s boathouse which dated from the mid-eighteenth century unfortunately had to be dismantled as it had deteriorated to such an extent that is was unsuitable for simple renovation. 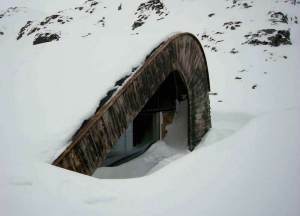 It also emerged that the former boathouse had been built on an unsuitable clay foundation and so it really would have been folly to attempt to keep the structure intact. 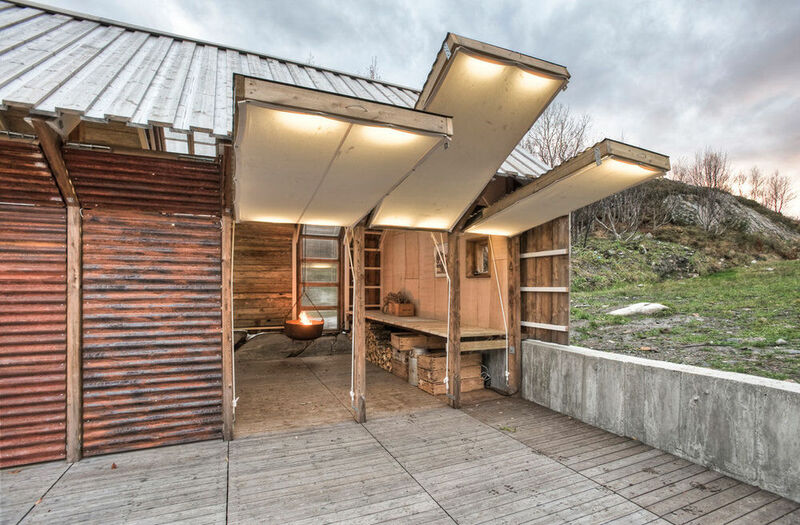 Instead, TYIN Architects elected to put in place a stable base of steel I-beams and make use of reclaimed timber to recreate a structurally sound version. 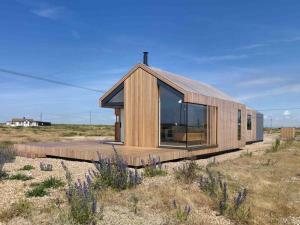 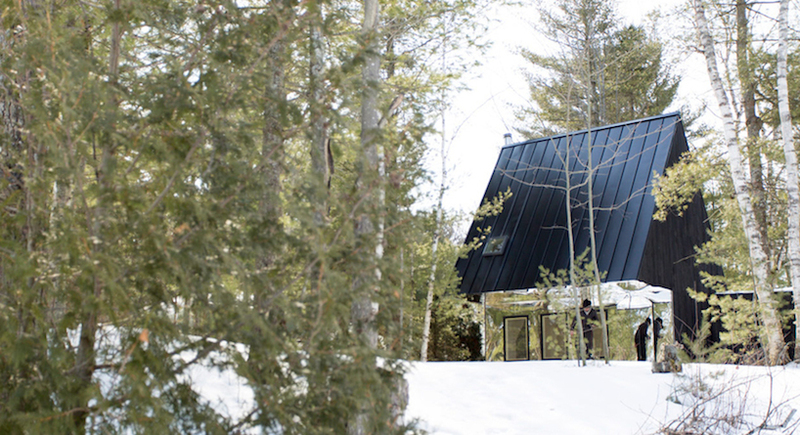 Due to the site’s remote location and the resulting poor accessibility of such isolated regions, the reuse of existing materials proved to be in everyone’s interests. 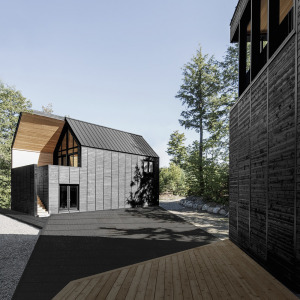 Reclaimed windows from a nearby building did end up dictating some of the dimensions of the key structural elements that support the pitched roof, but such irregularities all help to create the illusion of a historical building. 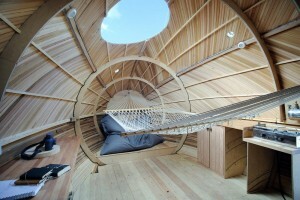 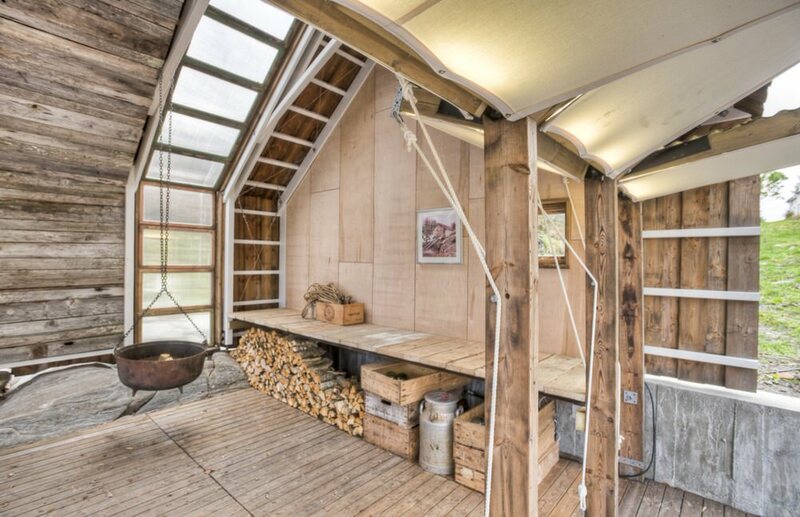 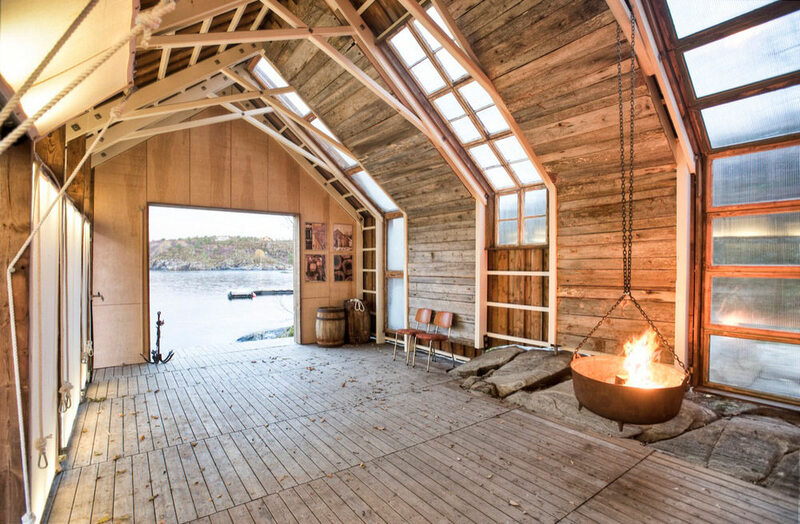 Some timber from the pre-existing fisherman’s boathouse was also salvaged to form a portion of the interior cladding. 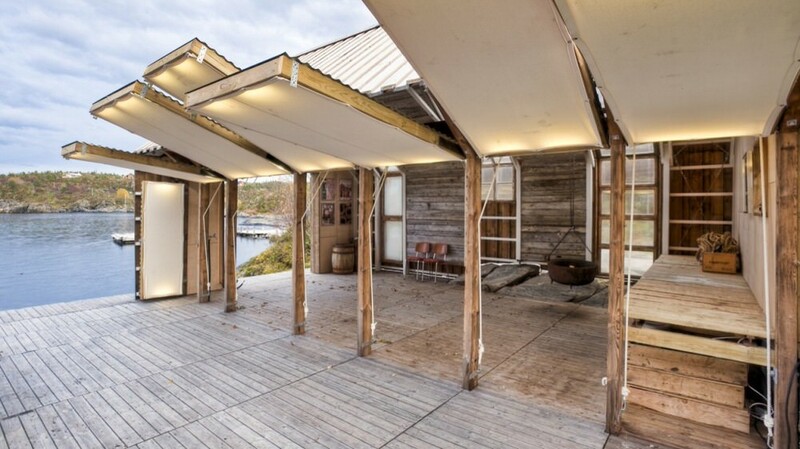 An interesting feature, and one that appears to have also existed on the former 18th century fisherman’s boathouse, are the wall panels on the southern facade which fold up to form a shelter over the conjoined outside decking. 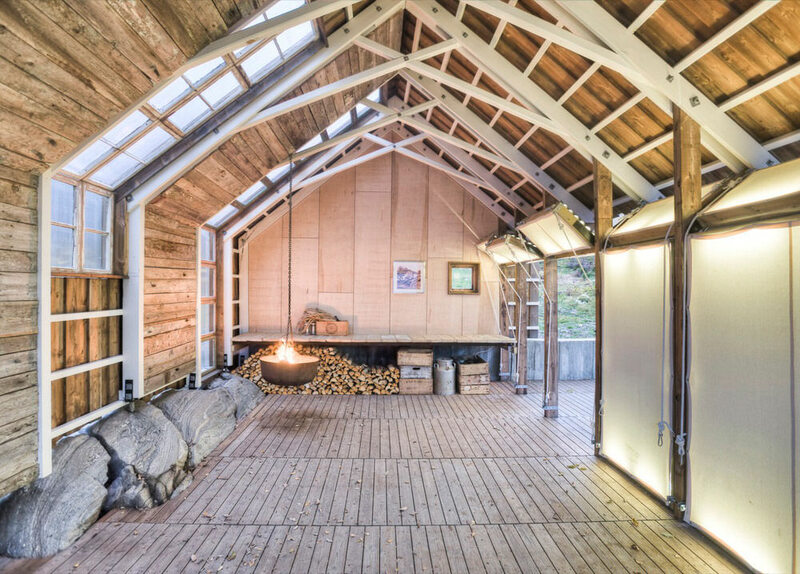 Other curiosities include the native bedrock which protrudes into a corner of the interior space, and a small suspended fire bowl that hangs from the ceiling on a chain.